A few weeks ago, my children and I went to a cook-out to celebrate the life of a young man who was killed in February. His birthday was the day before the event; he would have been 24. 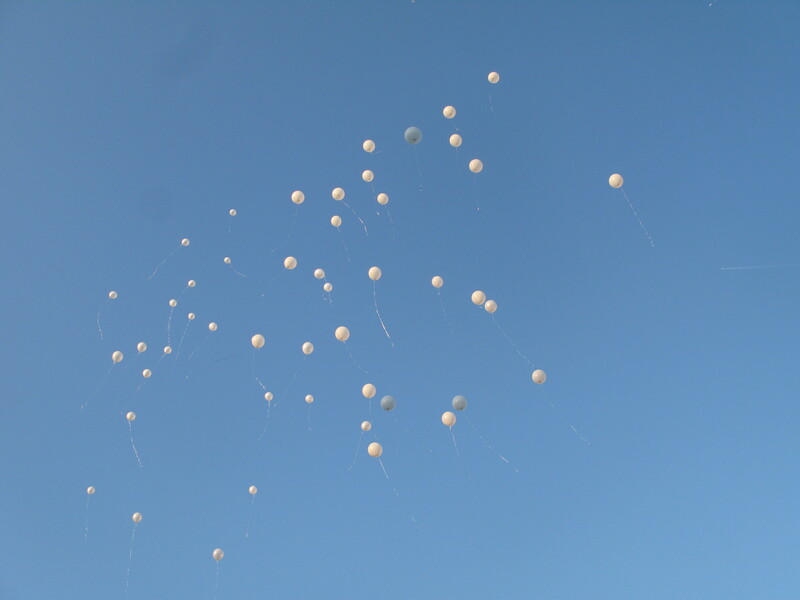 Mid-evening, white balloons were handed to relatives and friends to release after a prayer and a moment of silence. Before we released the balloons, people had the opportunity to share thoughts and memories- a few did. The young man’s uncle was the last to speak and his words ring in my ears; I am hopeful they remain with others as well. He said he had many nice things to say about his nephew like everyone else, but he wanted to know who killed him. He implored anyone with information to share it. “It’s been five months…do it so his parents and siblings can have some peace.” He continued by saying if someone hurt his loved one, he would tell. Then he began to get angry and emotional and his sister thanked everyone for their words. As those balloons rose in the air, I thought about how many families have the same pain in their hearts. I thought about how unnatural it was yet such violence and death has become a frequent occurrence. I thought about my fiancee who was killed when we were in college. I thought about when I first met the young man we were honoring at 17. I thought about my four year-old son, a black boy, who was playing inside with some other children, without a care. Then, I hugged and kissed his parents. I continue to lend any support that I can to his family, but know too well that it is not enough. This epidemic continues and as a society we remain crippled, angry or oblivious in its wake. How many more young black men will die violently before it truly matters?